This manicure set carries 4 beauty metal implements for your manicure needs. 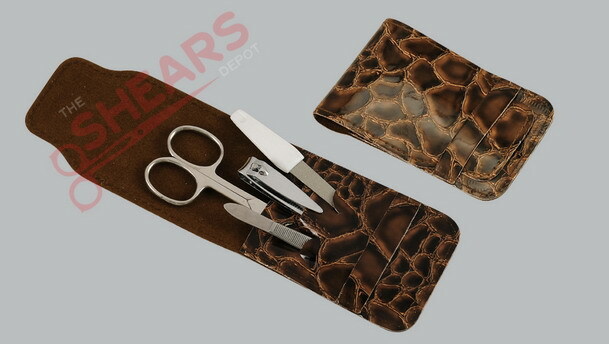 It has a beautiful brown color crocodile imitation leather casing. Can be easily put in a purse or a clutch and carried around. Makes a great gift.